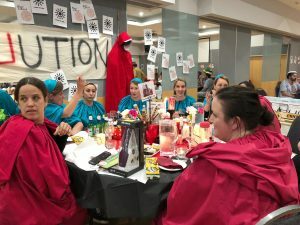 The Quintilian School Trivia Night was held 2 weeks ago with everyone really taking the costumes and table themes to a new level! 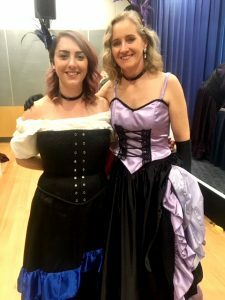 We might see some of those costumes at the Book Week parade next Tuesday 28 August! Astronauts, handmaidens, Contiki Tourists (although a think the 30yrs max age limit was stretched just a bit? 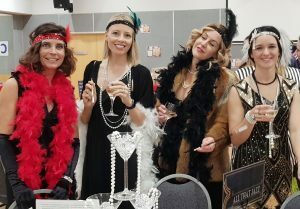 ), Romans and Greeks, Molly Meldrum and the ladies from ABBA made an appearance not to forget a few school “kids” in uniform and some fantastic flappers from the 1920’s. The Summer of ’69 was also there with the obligatory plant materials and protest signage. And that was just a start! Quintilian sure loves a dress up! 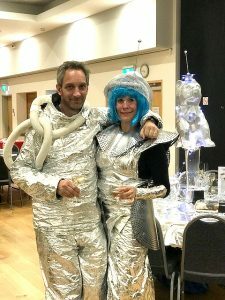 Thank you to all for the amazing efforts – Quizzy Stardust taking out the coveted first prize for table theme this year and All That Jazz taking out the first prize for highest score! Well done! 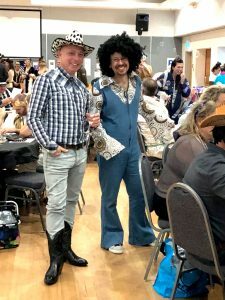 Well done also to the Events Committee and the fabulous staff members who dressed as the Saloon Girls aka “Ladies of the Trivia Night” and our fantastic MC “Cowboy Jim” for organising and running the night. Thanks also go to our amazing supporters who donated in excess of $15,000 in prizes – these included photography packages, holidays to Coral Bay, signed Freo Dockers jumper, workshops and courses, dinners, shopping vouchers, movie vouchers, many items for the home and outdoors and so many more it is impossible to list! 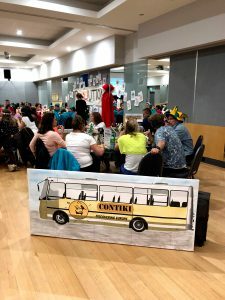 There were lots of games, laughs and fun with a few serious questions thrown in – did you know an ostrich holds 2 lbs of rocks in its mouth to help with chewing its food as it has no teeth! 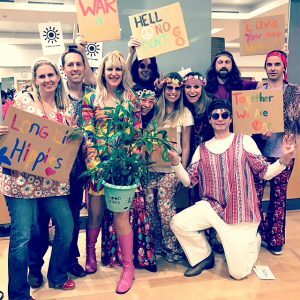 All this fun does have a second purpose in raising funds for our school – this year we raised just over $5000! Well done and thank you! 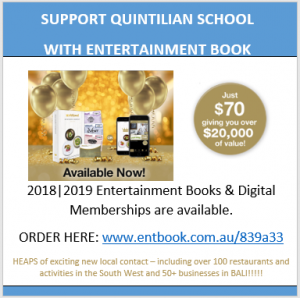 What a fantastic week we had with amazing generosity of our Quintilian Families – we now have 100 new titles in our school library with more able to be purchased with the 20% credit of total sales. Updated resource books and much needed chapter and stories books made up the amazing list of new titles. Once the books have been catalogued and covered they will be available for loan – first by the donating family then to everyone. Thanks as always to our amazing parents volunteers who manned the Book Fair before and after school making it the success that is was. Yr 1 to Yr 6 Quiz Afternoon. No parents allowed! 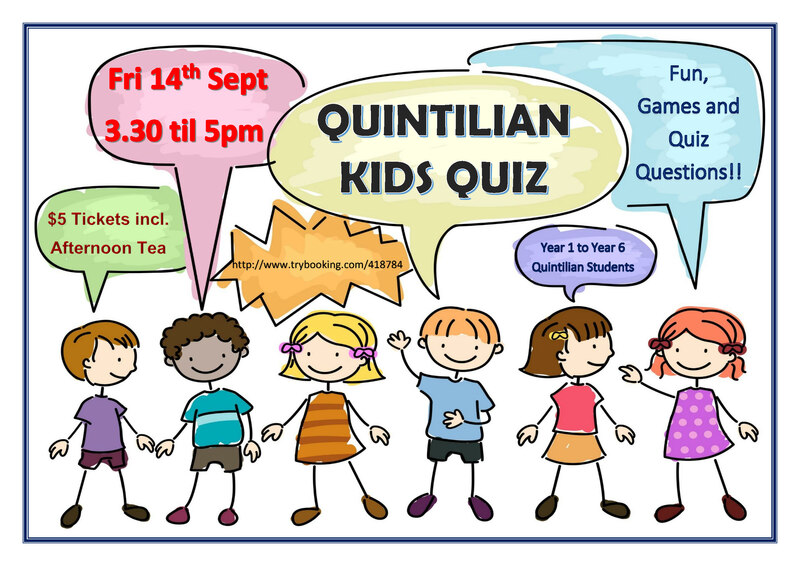 Answer some fun questions with your Quintilian Buddies, play some games and have some laughs. Tickets are $5 per child which includes the Quiz and Afternoon Tea. Tickets are required for entry and supervision will be provided til 5:00pm. Once the Tickets are sold we will group the kids with a mix of year groups on the different tables. Kids will be expected to take part in the Quiz and stay within the Music Room until 5pm. Questions, fun and games for all abilities and ages! Some prizes to win too! We have a couple of great events planned for the end of this term and early in term 4 but of course as always we need your help. So this email serves 2 purposes – to give you all the chance to pop your name down early to volunteer in your preferred time slot and also to put these dates in the schedule!! 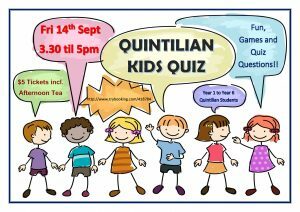 On Friday 14th September we have our Kids Quiz, although no parents are allowed J we of course need some help to set up – so if you can spare some time that afternoon we would greatly appreciate your help. 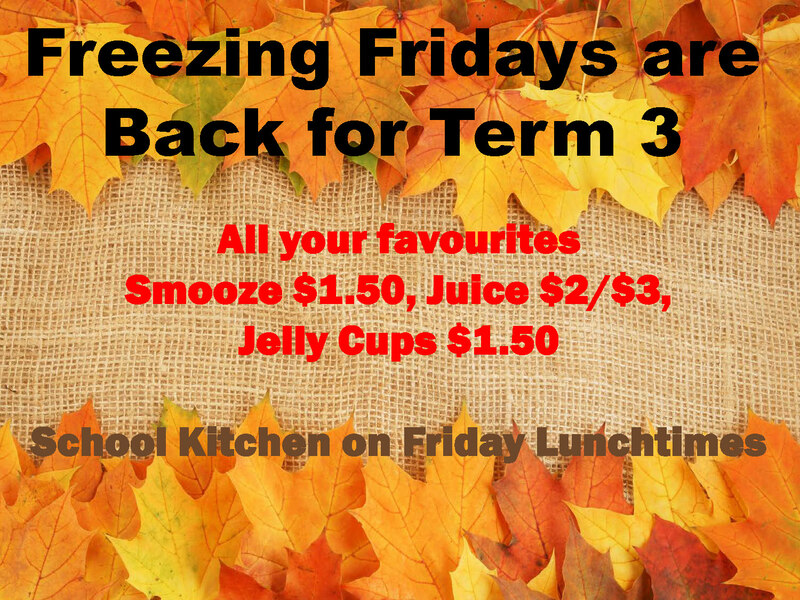 Back by popular demand we will be having a community breakfast the first Friday back in term 4 – come along (in your PJs if you wish) and enjoy a cooked breakfast and a hot coffee/tea before the start of the day. Kids can stay in their PJs all day – what an easy start to the day this is!! But of course we need your help, the day before to mix that all important pancake batter and on the day to feed the hungry Quintilian Community! Hard to believe there is only 3 and a bit weeks of term left!! So only a few more Freezing Fridays and as the weather warms up the popularity increases. Friday 7 Sept this is allocated to the Pre-K and Kindy Classes but anyone is of course welcome to sign up. Friday 14 Sept this is allocated to the Pre-Primary Classes but anyone is of course welcome to sign up. Friday 21 Sept – this is the last day of term and anyone is welcome as no class is allocated – so please pop your name down. 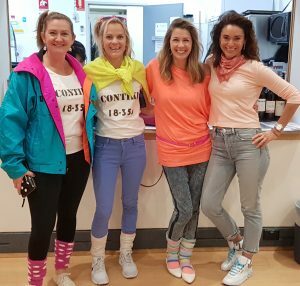 And of course do not forget the fabulous Year 6 organised Disco next Friday night 7 Sept – stayed tuned for the theme – money raised goes directly to the annual Year 6 Camp – thanks to our Amazing!! year 6 parents and teachers for organising this event for our school! Many thanks yet again for your help – without you these events would not be possible!